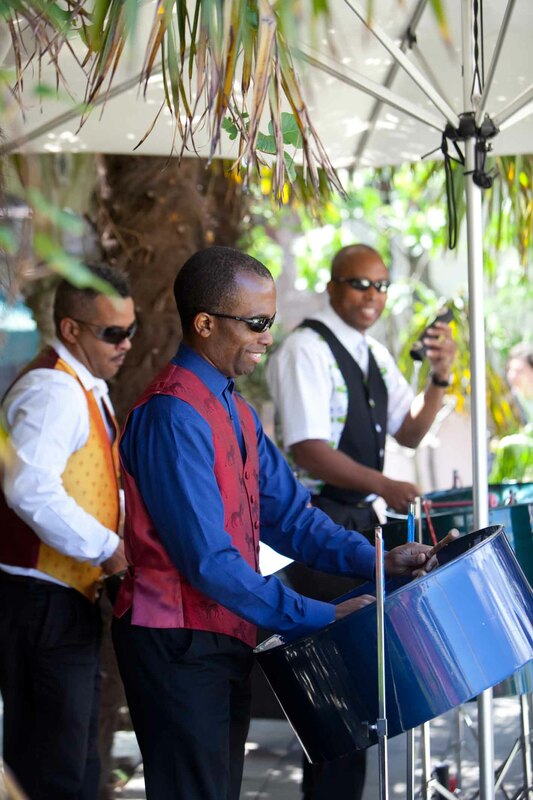 Expect a refined performance from one of the most popular steel bands for weddings. 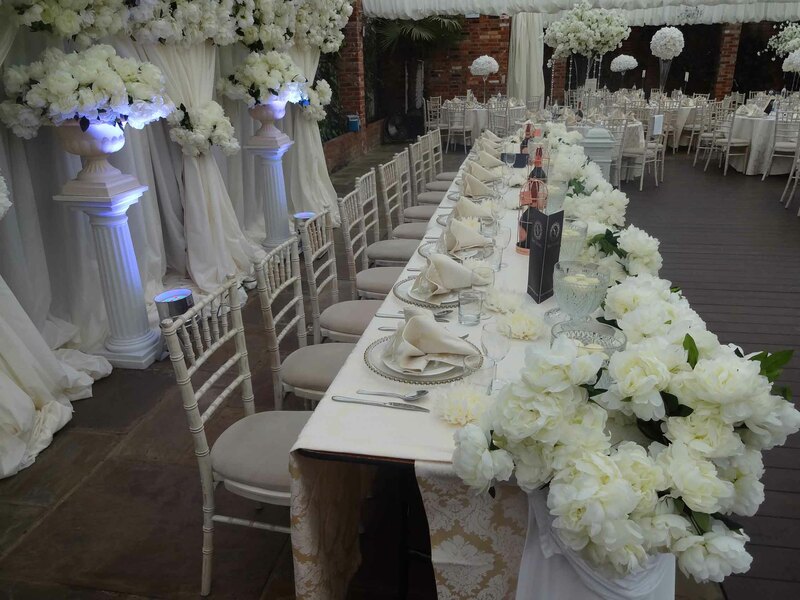 Try to book early for key dates which are likely to be very busy for weddings in 2019. 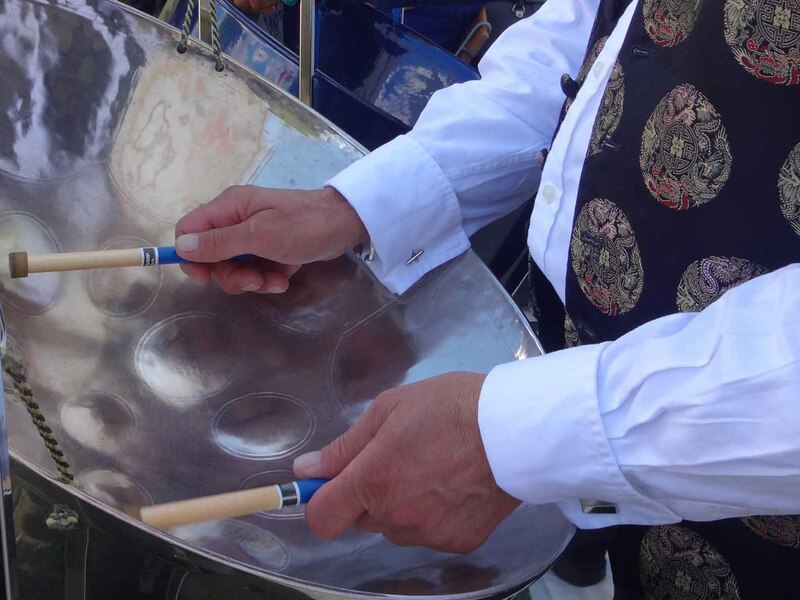 If you are thinking about options, our bespoke 3 piece ensemble is the popular choice. 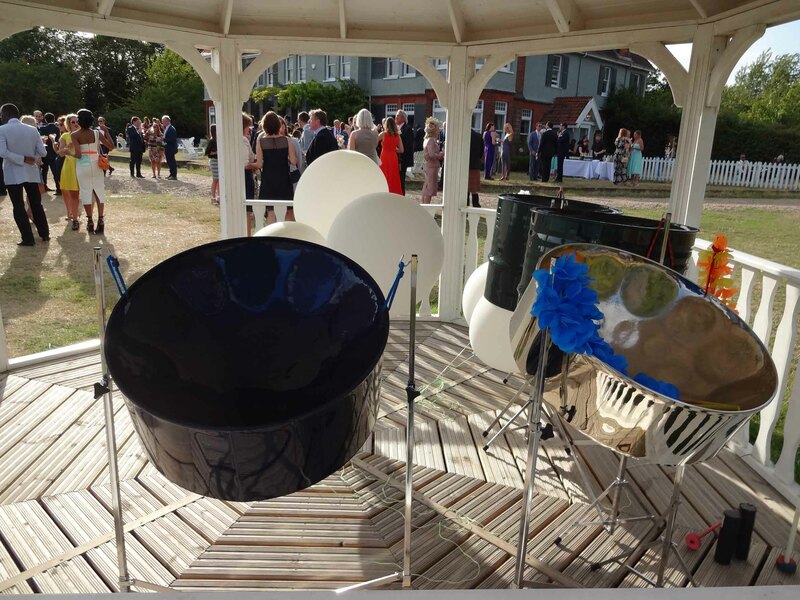 Requiring minimal space and no electrics, the band can set up on a terrace, conservatory, marquee or function suite within 15 minutes. 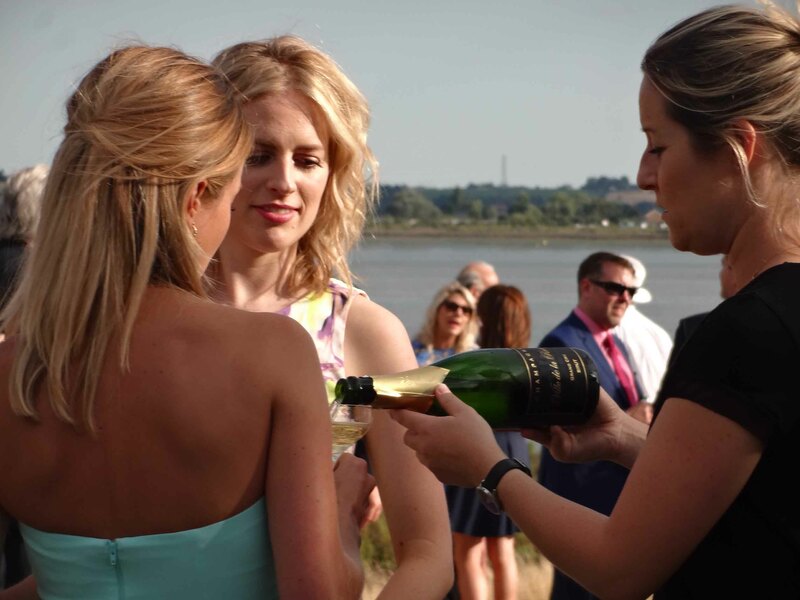 Below is a wedding on the remote Osea Island in Essex. For luxury weddings you can expect the best presentation to impress your guests. 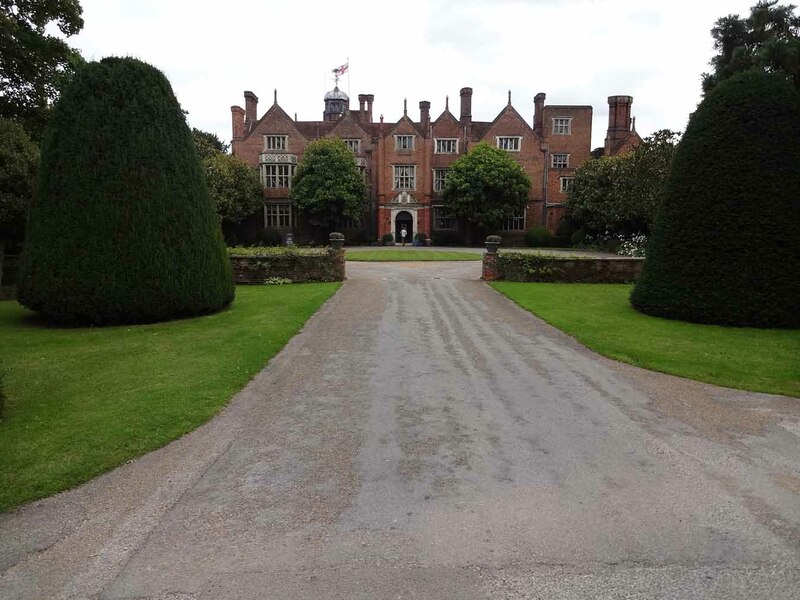 Below is a photo from a wedding at Great Fosters. 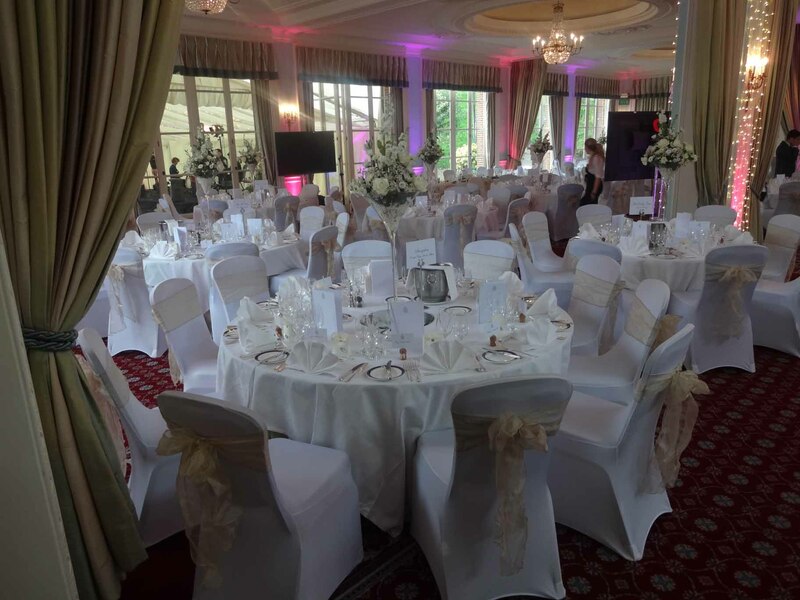 Below is a wedding reception at Northbrook Park. 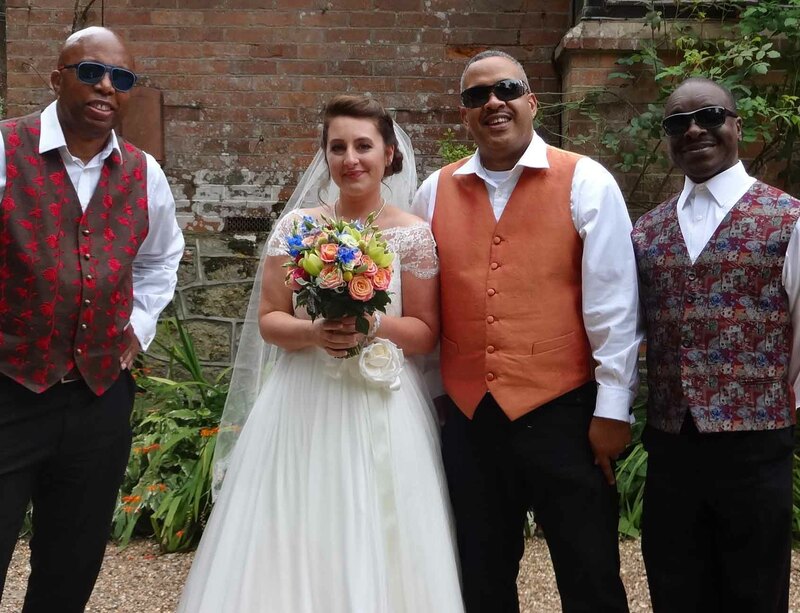 Below is a grand wedding reception in Hampshire where we performed during the drinks reception. 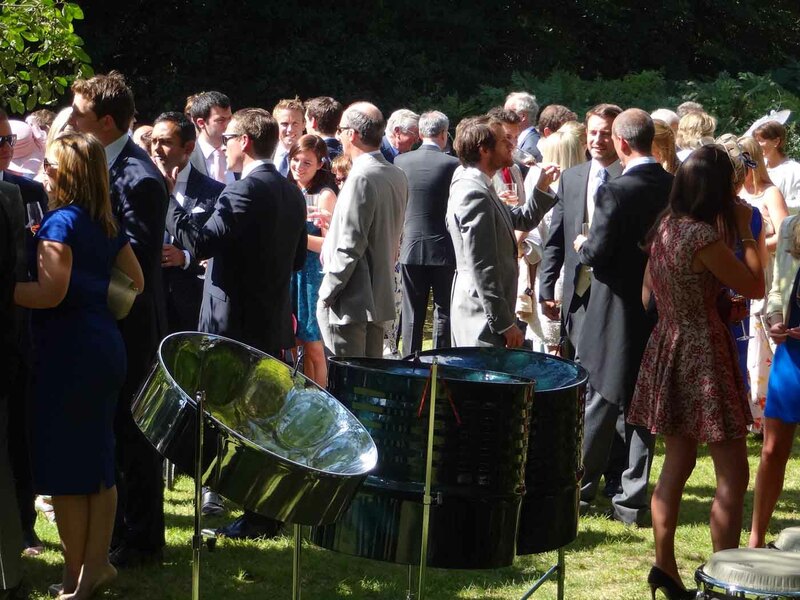 Below is a luxury wedding at the Royal Automobile Club in Epsom, where our 3 piece steel band ensemble performed in the marquee during the champagne reception. 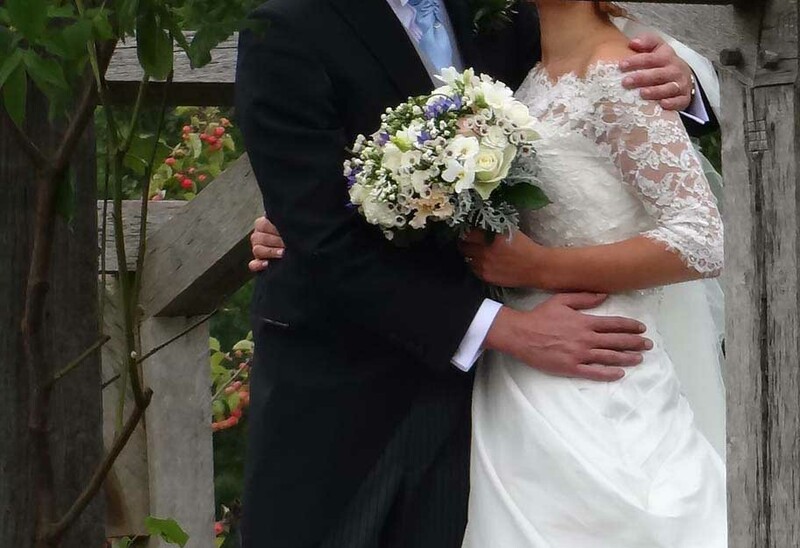 The summer wedding season gets very busy and our clients start booking key dates many months in advance. Send your inquiry and receive a response within a few hours. 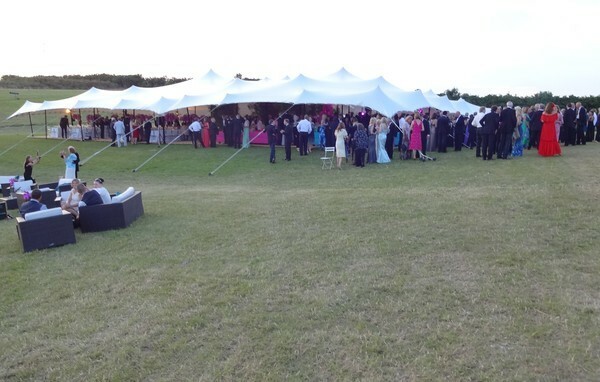 Wedding music, Essex. 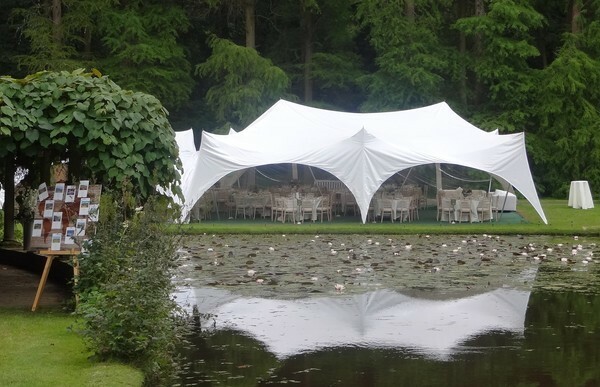 Did you know that some of the best wedding venues are just outside London? 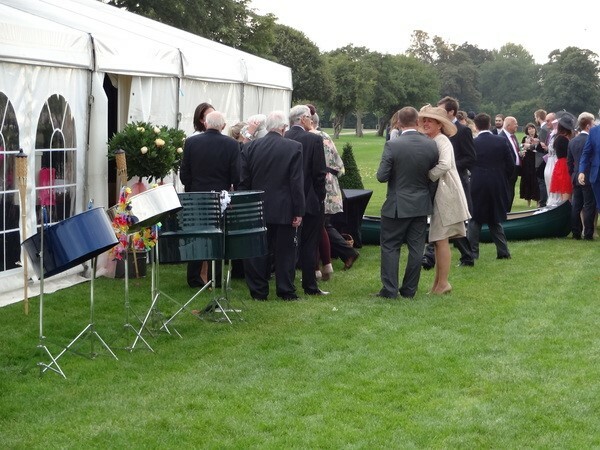 Below are more images from weddings in London and nearby counties. The music will be pitched at the right level to create the perfect ambience. Send an inquiry and receive a prompt response. 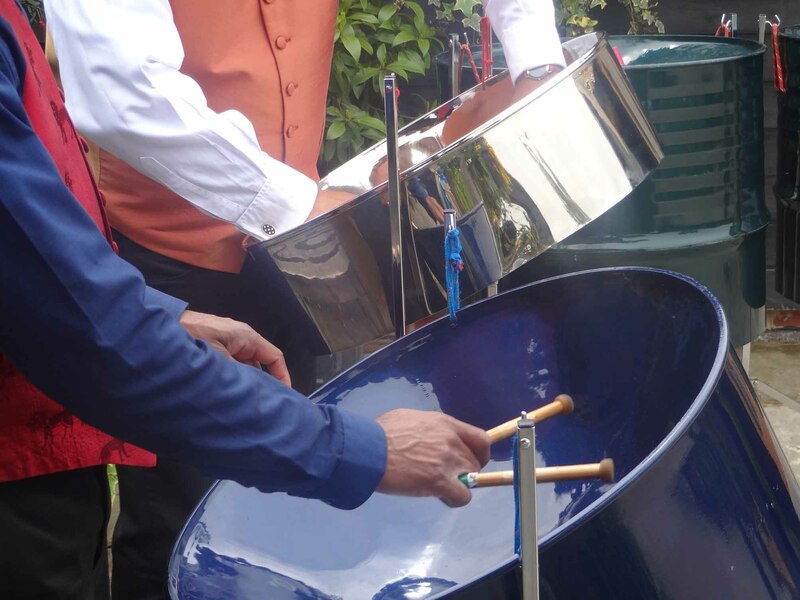 Below is a list of wedding venues close to London where our steel drum band performs. If you are looking for wedding venue ideas for 2019 and 2020, we have performed at all the venues below, so feel free to ask any questions.